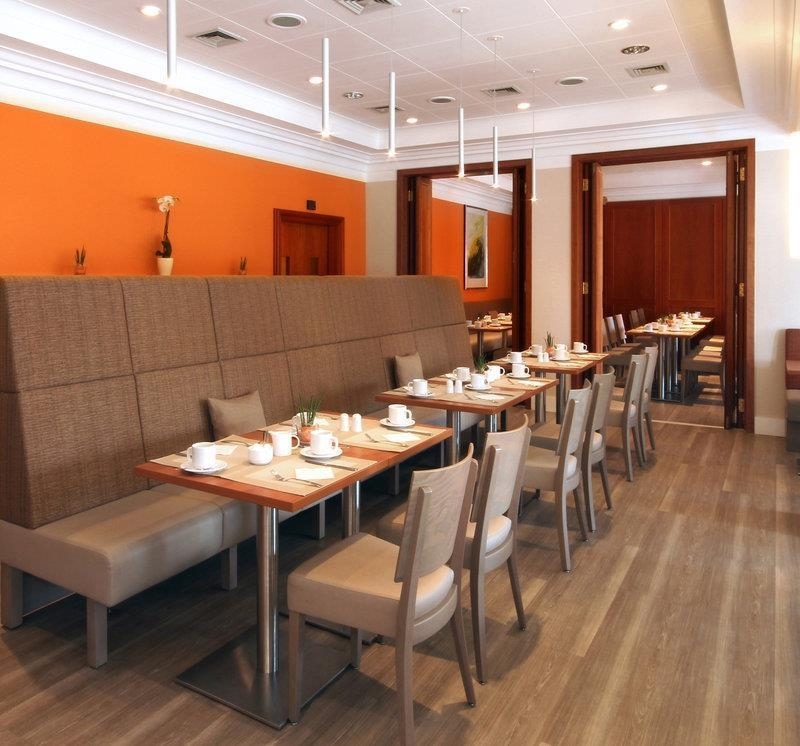 The Best Western Hotel Leipzig City Center is ideally located in the center of Leipzig. Come and experience our hotel near the major tourist attractions. Best price guaranteed and exclusive deals. 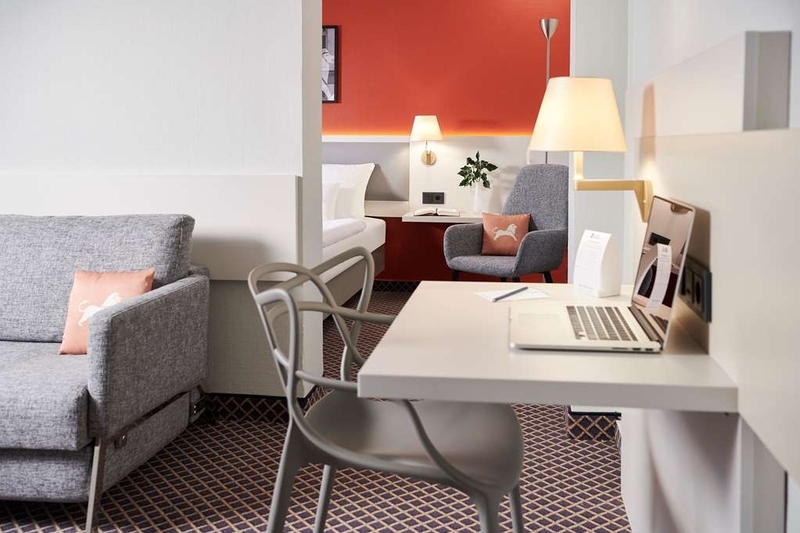 Whether city tour or business trip, traveling on your own, with friends or family: The Best Western Hotel Leipzig City Center is the right choice. 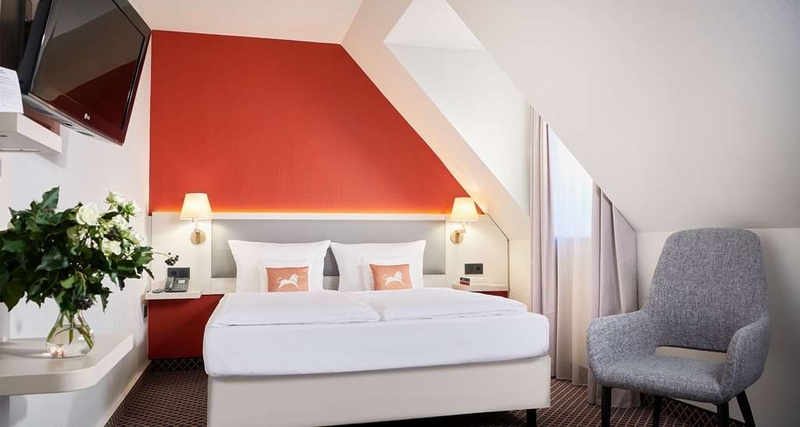 The hotel offers great comfort in a prime location, directly opposite the famous Leipzig Central Station which houses one of Germany's largest shopping malls. 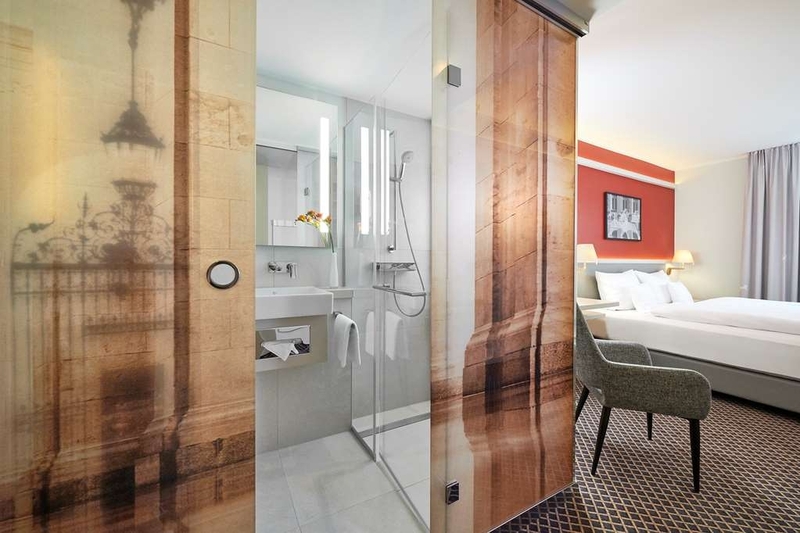 The Best Western Hotel Leipzig City Center is the ideal starting point to discover exciting Leipzig, a city of culture, fairs and trends. The exhibition grounds can be reached directly by bus and train within 20 minutes. The Leipzig/Halle Airport is only 30 minutes away. As stated, its location is superb due to it being literally across the road from the station. With that however comes noise and light pollution from the cars and trams righ outside. The rooms are well sized, recently renovated and clean. Overall the hotel is fine if youre just going to sleep in it and nothing else. "Good relation between price and value"
The Location Close to the main Station is great! You have to cross the street and you're there, having everything you Need to get there from public Transportation, Trains, Airport - getting there and away is great. The room is small but comfortable, clean - and it's calm. Currently there is a construction side Close to it - and you don't hear it. You can store your luggage after checking out which is very relaxed. Only Thing: breakfast for 11 Euro is far too much, especially in regard to the City which you can Approach immediately and where you can get better Prices / better conditions. It is just a 3 stars hotel. However, the facilities of the room is same as a 4 stars one. The large enough, tidy, clean. The breskfast is also good. Many choices of food. The staffs are friendly and helpful! "Modest but comfortable in a great location"
Clean and comfortable hotel right across from the train station, walking distance to old town and trams will take you everywhere. If you're on a budget but want to stay centrally, this is the hotel for you. Good breakfast. Nice hotel, clean and comfortable, very close to the main station, just across the street. Staff was friendly and helpful. Room was clean, simple, and functional. Breakfast was average, and staff friendly. The hotel is on the opposite of the west entrance from the railway station. So you have to cross only the street after arriving there. From here you can reach everything. For example, the zoo only 600 meters by feet from the hotel. Rooms are very clean with everything you need. A little bit small but all right for a few days. Because of the station it is very noisy by traffics when you open the window. We don't try the breakfast. There are some more possibilities in the center of Leipzig. "Ideal base for seeing Saxone"
We came by train and stayed 3 nights, enjoying Leipzig itself, but we also had a day in Dresden. With the train station so close, this hotel was ideal. Moreover, the room was immaculate and comfortable, good bed, the breakfast excellent (fresh coffee in your own pot) and the desk service good. We must especially thank the hotel management and room staff for finding my hearing aid that I left behind and mailing it to me. A marvellous hotel! "Good for an overnight close to the central train station"
The hotel is located very close to the central train station, just across the street. Ideal if you are coming in late and want to get to your hotel as quickly as possible or if you need to take an early train the next morning. 3 minutes walking distance until you are in the central station. It is located along the main street, so it is better to get a room which is not on the main street but on the inside, however, these are usually the more expensive rooms. Otherwise it was clean. Unfortunately, the heating in the bathroom was not working and it was -10 degrees outside. The system was not self-explanatory and in the morning the technician needed to come in to turn on the heating. It would have been nice to have a warm bathroom during your stay here especially with freezing temperatures outside! The location is super excellent, just next to the main train station (Leipzig Hauptbahnhof) and easy access to all public transportation. The hotel is clean, staff are nice and friendly. I cannot say that the room was big, but it is appropriate and comfortable. This Hotel is very close to the Train station and to the center of Leipzig as well. The room are clean and in good condition. The staff is very friendly and helpful. Check-in and check-out very quick. "Best Western Hotel Leipzig City Center"
The hotel is located opposite the central station on the main road.The hotel overlooks the both the train and the tram stations and the trams pass in front of it. It is in a central location very close to the old town, to the zoo,the observation tower(Agustusplatz) and Grassi Museum. Tram No:12,which goes to Grassi Museum, passes in front of the hotel.The hotel is located near West Inn Hotel. If you go out of the wrong exit of the central station, go towards West Inn Hotel and you will see Best Western Hotel.I stayed in a single room which was very spacious. The hotel offers free bottled water and free candies were put on the bed on the first day of my arrival.The room has has 7 wall sockets and 2 USB wall sockets as well. There is a work desk with a lamp and 2 bedside lamps and 2 chairs. 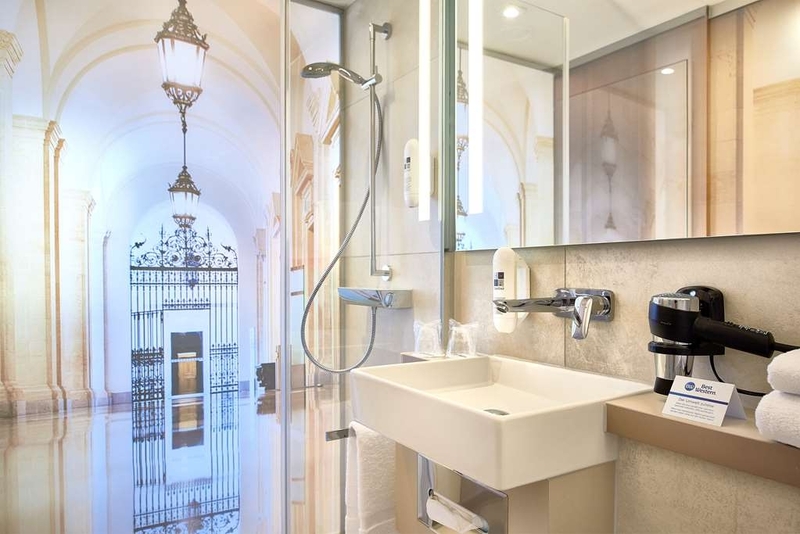 The bathroom has a shower, hair dryer hair and body dispenser, soap dispenser and handkerchief. There is no fridge, minibar or safety box in the room, but there is kettle, coffee and tea bags, can opener, shoe shiner, shoe horn in the room. Free WI-FI is provided in the rooms and the internet connection is strong. LCD TV channels include CNN, BBC, SKY News, Bloomberg TV, CNBC Europe, German, French, Arabic, Chinese and Russian channels. In short I can recommend this hotel due to its proximity to the center of the city and to the central station. "Much better than it appears from the outside"
Crossing the road from the main railway station this hotel seems to be a rather dreary place, but not so inside. The bar area, just off reception, is rather spartan, but once in the room we were quite satisfied with this accommodation. It is on the small side, but clean, warm, modern, and comfortable. The staff spoke good English, and were always both polite and helpful. Most importantly for us it is both close to the railway station and the city centre; much that we wanted to see was within short walking distance. There is also a tram stop outside making it easy to travel to the more distant parts of the city - for which I recommend the day travel passes available from machines [which have an option giving instructions in English] and ticket office in the railway station: a two person day ticket cost €11.30. In all, we found the Best Western to be an ideal base for our Leipzig visit. "Incredible value, spotless and great staff!" This hotel is well situated in the city.The rooms are small but confortable. Unfortunately, the trams are passing in front of the hotel and that means that rooms towards the railway station are very noisy except a few hours in the middle of the night. As there seem to be an on-going renovation in the hotel as well it is almost impossible to stay in the room during daytime. We found it so frustrating that we left one night earlier than expected. 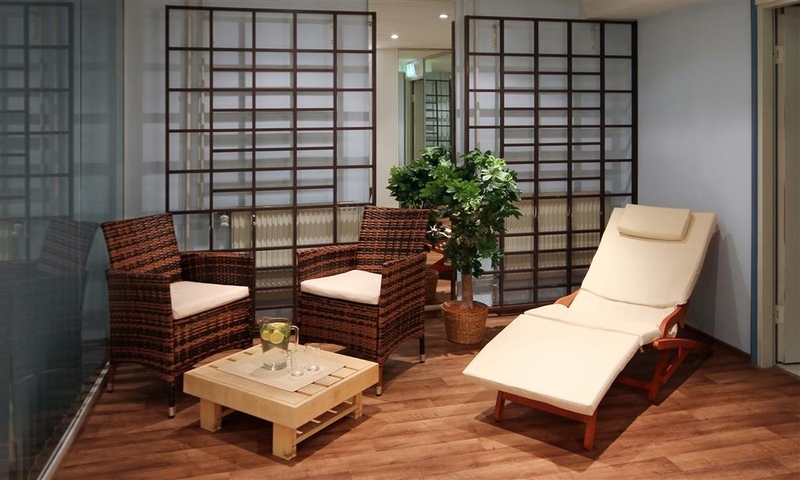 "Good location, just outside Hauptbahnhof"
Very good location in the city centre. Very nice room, clean and very confortable. Staff pleasant and helpful. Less positive was arriving at night and the parking being full (parking not free). In the end we parked just next to the station in a parking less expensive than the hotel's parking. Room does not have a fridge and no hotel restaurant for an evening meal. Rooms are nice, modern but small. Bathroom is nice. Very friendly to dogs, maybe because there was a World dog show in Leipzig during our stay. Beds are extra soft, unfortunatley not in a good way. Hotel is being renovated. This should be known in addvance. Breakfast was great, staff was friendly. "Small rooms, convenient to train station"
The rooms here are incredibly small, and the bathrooms are not only small but awkward in layout as well. The hotel is currently undergoing a renovation, which is supposed to totally redesign the bathrooms and modernize the rooms. 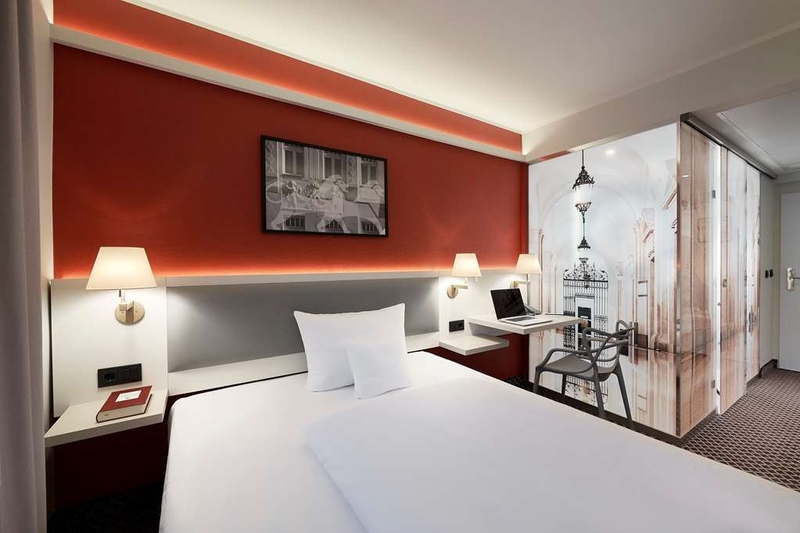 Location is right across from the central train station and is a good value hotel. Street trams are also right outside the hotel, so if you are a light sleeper, try to get a rear facing room, or you will likely have sleeping issues. Service was friendly and efficient. A plus on the rooms is a nice in-room coffee selection and hot water pot, and a complimentary bottle of water. "Hotel is in a great location"
Arrived to an unhelpful reception desk who seemed disinterested in having my part as hotel guests. I was accommodated on the 7th floor and was informed that the lift only went as far as the 4th. No discount was offered for this. I had a larger room, however my colleagues all complained of the cramped space in the toilet. This was only solved by leaving the toilet door open. The showerhead in my room could not be tightened and constantly drooped. The following day there was a contractor using a hammer drill in the floor below. That said, the breakfast was good and the morning service was much better. There are better hotels in Leipzig. "Location perfect for train travellers"
The staff was very friendly, but the rooms are very, very small. Carpet was not clean, bathroom small. The breakfast was outstanding and in the lobby was coffee, water and something to nibble for guests. I was in Leipzig for Business in August with a few colleagues. 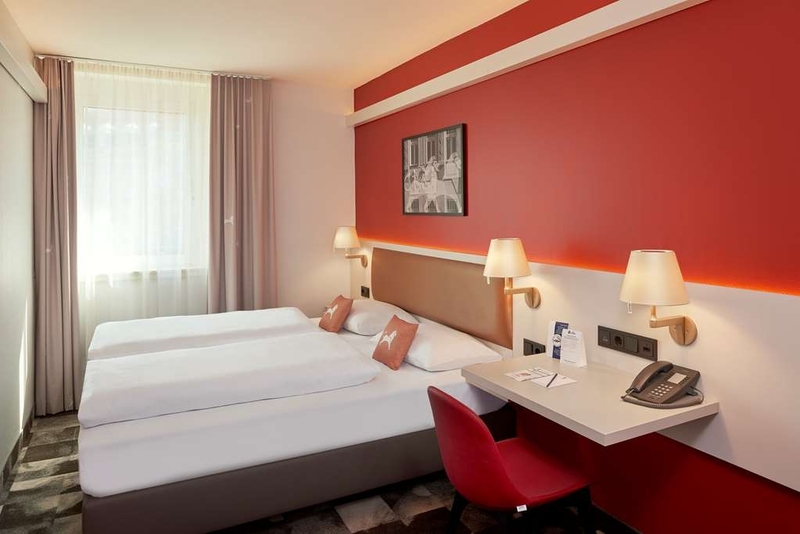 We can only recommend the Best West Hotel Leipzig City Center with highest regards. Amazing location, customer service and rooms. I will most definitely stay here again on my next trip to Leipzig. "Great value, just at the edge of the city center." Just slightly off the beaten track, this is a great value hotel. Just 100m from the train station. Good buffet breakfast and evening cocktails. Helpful frontdesk. Parking in the courtyard. Five minutes walk to the city center. Even though its close to traffic, we did not hear a thing. "Very convenient hotel with lovely staff"
I stayed here while attending a conference at the Congress Centre. We got off the train at Leipzig Hbf and this hotel couldn't have been closer - came out the doors and there it was straight in front of us. While the rooms aren't huge there was ample space along with a safe and tea/coffee making facilities. The bathroom is very compact! I'm pleased I'm not overweight or it would be quite a tight squeeze due to the toilet being angled alongside the sink but personally it wasn't an issue. The room was clean and on arrival it was a nice touch to have a note signed by the person who cleaned the room, a packet of haribo and complimentary large bottle of water which was very welcome after a day of travelling. The staff were all lovely. They put me to shame as my German is limited to hello, please and thank you but everybody spoke perfect English - making the trip a lot easier (but would be my own fault if nobody had spoke English - although I did have an app to try and get round this!!!). The breakfast was very tasty and included cold meats, cheese, pastries, cereal, fresh baked bread/bread rolls, sausage bacon and scrambled egg. This was a lovely start to the day. Walking into town was very simple from the hotel, as it's just round the corner. Likewise the distance from the train station made travelling to the congress centre simple. The breakfast room became the bar on evening so you could relax with a nice drink. 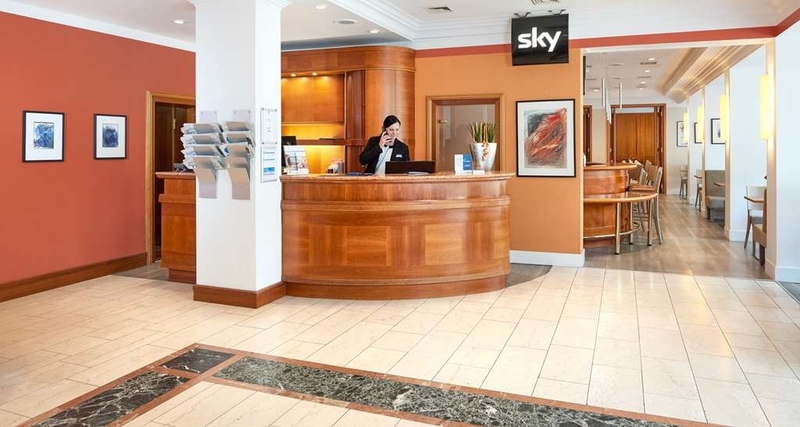 In summary this hotel was perfect for my stay - clean room, lovely welcoming & friendly staff and positioned perfectly for both the city centre and transport links. Thank you for making my trip to Liepzig so pleasant. "2016 Conference in Leipzig Germany"
I stayed at the Best Western City Center for 4 nights while attending a conference in Leipzig Germany. The location is excellent for those arriving by DB Bahn Train from the Leipzig/Hallie airport. The hotel is just about 500 meters across the street from the main Train station in Leipzig (Leipzig Hbf). The “S5” train servicing this same station takes you from the Leipzig/Hallie Airport for only 4.5Euros. On arriving at the Hotel around 1pm from an overnight flight, the receptionist was quite polite, but insisted that no rooms were ready and I must wait until the 3pm check-in. They did however volunteer to hold the luggage until a room became available. After walking around Leipzig for an hour I returned to the hotel and was informed that another room was available (not my original room on a high floor away from the street). This room was on the 2nd Floor facing the street (Room 204). The service and staff of the hotel was always very graceful and delightful to chat with. The room was a bit smaller than expected. See photos of the views of room as you enter and from window back to entrance. Also there was a small desk just big enough for a laptop and a few notes. Lighting was excellent in the room and all appliances and outlets worked. The phone light would not go off and had to be covered over for the five days. The bathroom was a bit smaller than expected but adequate, however, the showers were very spacious for the smallish bathroom. The Tram outside the window could be a bit loud, but for most of the trip I was so exhausted that I never heard a sound. In addition the Hotel provided eye plugs on your pillow on arrival. 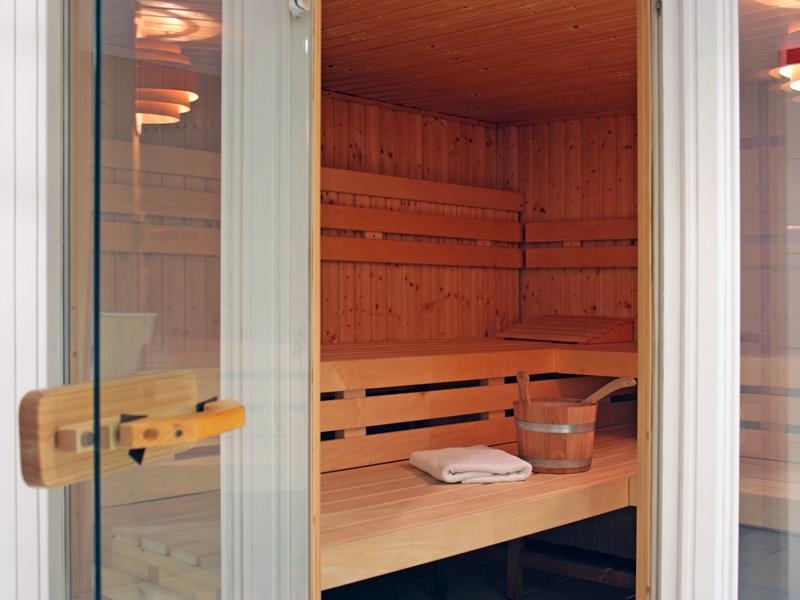 The Sauna is a “MUST DO”. It was just perfect for the exhausted traveler. However it is only open from 5PM to 11PM. Train Station across the street did provide a few exciting moments on Sunday night, when a soccer game was being played in the nearby stadium, and an extremely large number (over 20) of police vehicles arrived at the front of the hotel and around the Train Station. This only lasted about 40 minutes in total. Otherwise, the location of the hotel was quite safe for walking around during the day and late at night and the nearby train station did provide a few grocery shops for getting water and other essentials, as well as, hosting quite a few food stores where you can get anything from McDonalds to full 5 course dinners at a very reasonable price (less than 20Euros). Overall, I would highly recommend this hotel for a stopover in Leipzig Germany. However, due to the train station across the street, try to get a room away from the front and as high as possible. This would significantly reduce the street noise. I stayed here midweek for 100 Euros without breakfast. This is ridiculously expensive for such an average hotel. First the rooms all stink of cigarettes because the hotel has smoking rooms that share the same ventilation system as the non smoking rooms. I spent the whole day after my one night stay coughing. Secondly the double rooms are tiny. Thirdly the staff mostly have no charm and are business-like to the point of rudeness. Fourth, there was no room service after 10 pm. I arrived hungry and was pointed in the direction of the station which is a rough area after dark. OK I found something to eat but for a city center hotel you expect the room service to last at least until midnight. I would say a fair price would be half what I paid. We stayed here in Oct 2016 - our second visit here - the first time we stayed was several years ago. The main feature of this hotel was Location, location - right opposite Leipzig main rail station - a 20 m walk across the street Our room was on the 5th floor - and was small by comparison - there was no bag stand to put our bag on - it had to be put in the wardrobe/closet. Our room had tea/coffee making facilities, TV, safe and was adequate - the beds were comfortable and adequate. We had Wi fi in our room and it worked OK for us The staff on the reception were most unfriendly - on our last day of departure our train departed Leipzig main station at 13 30 hours - check out time was 12 00 and we asked if we could have a late check out at 13 00 - to be told in no uncertain terms NO - so we departed at 12 00 and had to wait a the station. In contrast the staff in the breakfast room were much friendlier and helpful. Breakfast was plentiful with a wide variety. Our room overlooked the main station but with the window closed at night we had no noise issues - the only issue we had is out side the hotel at night there is a spot light shining on the building to high light it - which shone right into the room even with the curtains closed - at least it went out about midnight The bathroom was a modular unit - fitted into the room - very small and tight -you could not close the door when sitting on the toilet and the shower was a walk in - but a small shower with not much room to turn around in. It appears the hotel has been upgraded since we last stayed there - it was OK but nothing grand. 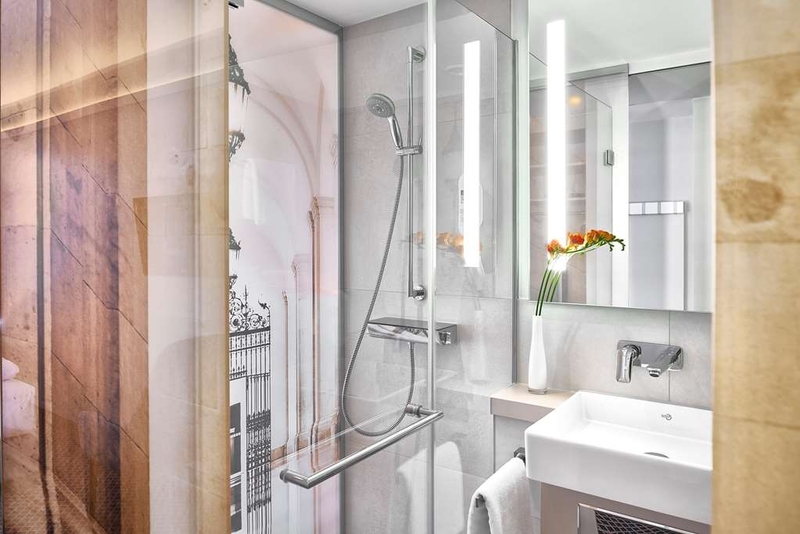 Convenient and strategically located , opposite the Leipzig Hauptbahnhof hub of transportation, with many shops and restaurants, and walking distance to the historic sites. Book early for competitive rates. "Tram noise, small room, preposterous wifi restrictions "
The location is quite good, but as a result every passing tram creates a loud rumble through the room. My wife and I both have smart phones which we use a lot, so we had to log on several times an hour. We found out when we left that they have a fix for this. Why not offer this on check in? Complaint driven service is not good service. The room is small, well designed but just a little too small. Wc in bathroom is cramped. Their lack of reform to these oft repeated issues means "look around". Good location, nothing more. Hot summer day, no air condition = no/very bad sleep. The reception could only offer us some ice (however that would help), no room change, no discount, no free breakfast, nothing. The free WiFi only seems to handle one connection per room at one time, which is also quite annoying. If I visit again I would avoid Best Western Leipzig. "Central, ok price, not the best service"
"Terrible compared to other local hotels!" The room was so small I could hardly find a place to put my suitcase other than in the middle of the hall or on the bed. The air conditioning is worthless and only reduced the temp in my room 1 degree in three hours. The internet only allows one device at a time, so if you are a business person this is worthless. Logon with your computer, but cant be on with your phone at the same time. So you have to keep logging off and on and can never get anything done! Working on your computer? No texts or emails on your phone, and vice-versa. House keeping kept knocking on my door even though my do not disturb sign was on the door. The first time they knocked and I said "just a minute" and the guy used his key and just came on in while I was naked on my bed. Poor guy! Being close to the rail station is a plus for a tourist, but not a person who needs to sleep during the day with trains constantly rumbling by. This is not a business or flight crew friendly hotel. Much better choices in the area. 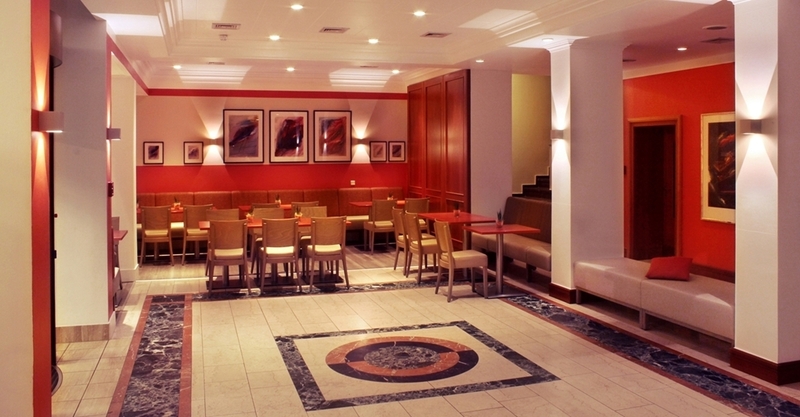 "Excellent service and location but. 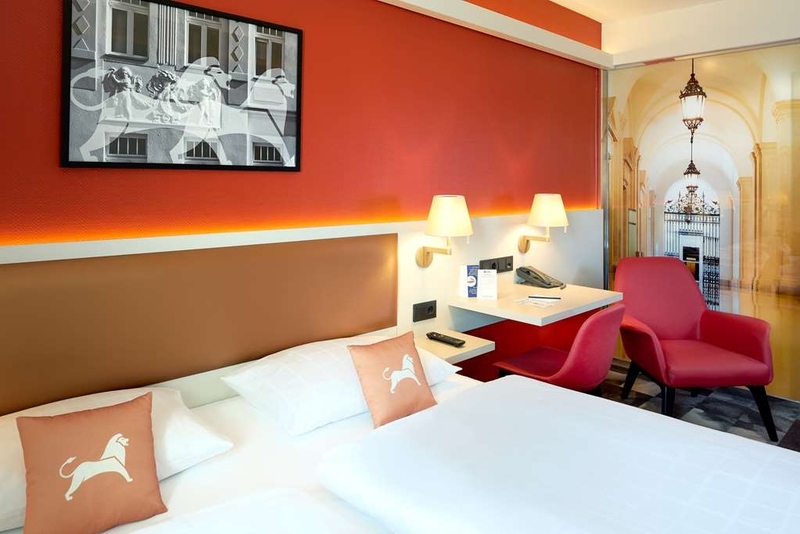 .."
I cannot fault the hotel, it was close to the station but near to the city centre. The only problem was my room and indeed the whole floor stank of cigarettes. I don't remember having to answer a question about this on the booking page and I wasn't asked my preference at reception. I am amazed that a hotel of this standard is not totally smoke free. The hotel is minutes walk away from main train station. If you, like me, like to have a window open for air during the night get a room at the back of the hotel. I was at the front and the noise from the trams passing is horrendous. Now speaking as a large guy, the room I was given was very small the double bed just fitting into the room. The bathroom was tiny. The toilet set at an angle making using it very difficult. The shower was small and the flow of water weak. Basic run of the mill hotel in an area which isn't that pleasant to walk around late at night. "You can't get closer to the railway station." I stayed at the Hotel Best Western in Leipzig for one night in March 2015. It is immediately in front of a side entrance of the Railway station. So very convinient, if travelling by train. City Center is a less than a 10 minutes walk away. Welcoming staff. I had room 214, which is a quite room to the inner courtyard - so no traffic noise. Breakfast was included and very good with a huge choice. Check-out is at 12:00h, which is appreciated. "Great hotel near train station and close to town"
I chose this location due to the close proximity to the train station and because I am a BW rewards member. It was a great location and a great hotel. The hotel is very nice, our room was great and the breakfast had a nice variety of delicious items. We had a drink in the bar one night and it was nice. It was very easy to get into town also, either by walking or by the tram/train. The one annoyance we had was that the wifi was spotty and we frequently had to reconnect our mobile devices, but it worked OK.
Centrally located by the haupbahnhof. The rooms are quite small and dated. Didnt like the floor carpets, they look dirty. Heavy traffic just outside. Got voken up by the trem several times and had to sleep with earplugs. Breakfast is decent. I got mixed feelings about that hotel... mostly because our room was on the same side as the street... it was very laud and we hardly got any sleep because of it. Food was good and the hotel is in a very good place in the city center, but that's about it. The one thing I've hated was the small toilet, basically when you are sitting, you are not able to close toilet doors... which is terrible. It's good place for business if you come there for few days, but it's just a place to sleep, nothing else. 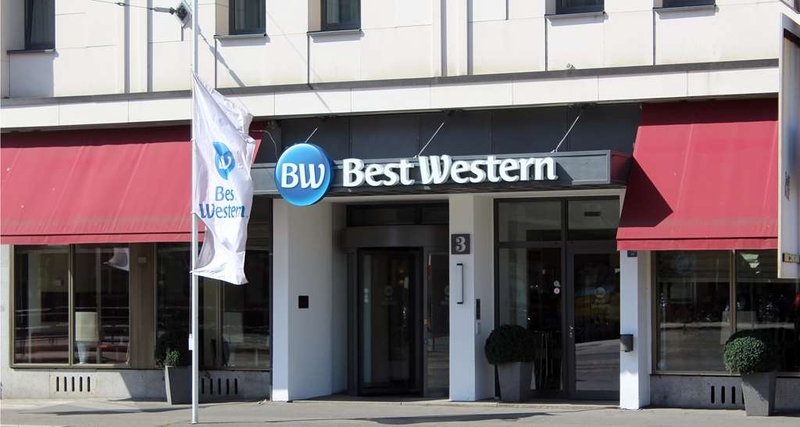 We recently stayed at the Best Western for two nights during our visit to Leipzig. The hotel is conveniently located right next to the train station. Unfortunately due to the location, it can get a bit noisy during the night. The staff was very friendly and helpful as our travel agent made a mistake with our booking. We were checked into our room and upon our departure the staff informed us that everything was taken care off and we did't have to worry about the mistake in the booking. Overall, the rooms are a bit small but for what you pay it was okay value. "A hotel that fits the name!" 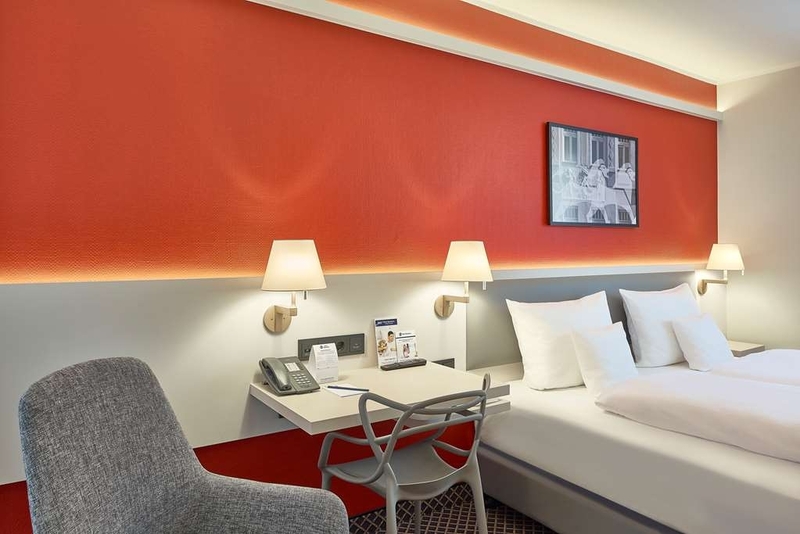 If you want easy access to the train station, a clean and comfortable place to stay and helpful and approachable staff - then Best Western Hotel Leipzig City Center is the choice! This was the best of the 4 hotels we stayed in for our 12 days trip in Germany. Was the only one working elevator, internet still lost and we still had to register (at 10 minutes intervals). Other alright, young staff will be incorporated excellent! Excellent location, right in the center. Not the best hotel I've stayed in, and the room was very small. But considering what I paid for the room I can't complain. Everything was clean and nothing was broken. All the staff spoke excellent english (a bit to good, they never gave me a chance to practice my german). And the location is excellent just across the street from the Hauptbahnhof. Some people have complained about noise from the street, but I didn't experience any noise. Although I had a room facing the back yard. But there are a few things you should think about if considering booking this hotel. The room was small. Enough space for me and my bags, but if you have any mobility problems, the room might be too small. (Although there might be larger rooms.) A bit overambitious cleaning staff. They were a bit too keen on taking things that might be considered waste, even if it's not in the waste basket. The hotel claims that all rooms are air conditioned, but I couldn't notice any air conditioning. But it might be due to the fact that it was quite hot with outdoor temperatures around 30-35°C. Limited wifi. The wifi works fine, but unfortuneatly it was only possible to connect one device at a time to the internet. So using both my computer and phone wasn't possible. A bit boring lobby. Nothing to complain about to be honest, but if anyone from the hotel reads this, please put a sofa or two the lobby so your guests have somewhere to sit while waiting for others. On the whole though, excellent location and very good value for money. I would definitely consider staying here again if I return to Leipzig. The location is good but the rooms looking out onto the street are badly affected by tram noise so a room overlooking the court yard is essential. Through our agent we booked a courtyard room but on arrival were told that none were available. We had booked a double bed room but our room had two small single beds. We realised that this was the only way two beds could be provided because the room was so small. Worse still was the bathroom - it was only possible to use the toilet with the door open because there was no leg room with the door shut. The hotel was unable to offer another room. No food was available on arrival at 8pm. The breakfast was good and parking was available in the courtyard at extra cost. Not worth the discomfort of such a small room. "Close to train station and zoo "
I loved the proximity to the main train station, the mall and zoo. Staff was fairly friendly and helpful. Breakfast was ok. Rooms were very small. It's not a bad hotel, but is really just a place to sleep. Not sure what else needs to be said about my experience. They were also very responsive with my emails to them. This Hotel is a stones throw from the main railway station and city centre. It has comfortable clean air conditioned rooms with working wifi if needed and least for my two recents stays there very reasonably priced. One of the stays had temperature at 30 degrees Celcius but that wasn't noticeable in the room. "is okay for that price"
The hotel is located pretty perfectly in the city. But the rooms are very small, even if the internals are okay and the functional accessories are quite perfect. The surrounding is more like a lost place and maybe it is like it. The access to the railroad is perfect and the distance to the city is perfect to have a party. Located just across the road to train station and offering air conditioned rooms with reasonable price. My room was basic clean without extra noises, offered good night sleeps while outside was 30 celsius heat wave. View from room was to inner yard parking slots, nothing to see but didn't expect anything else either. Breakfast contained from bacon to fruits and yoghurt etc, offering good variety although breakfast area might be bit crowdy on rush time. 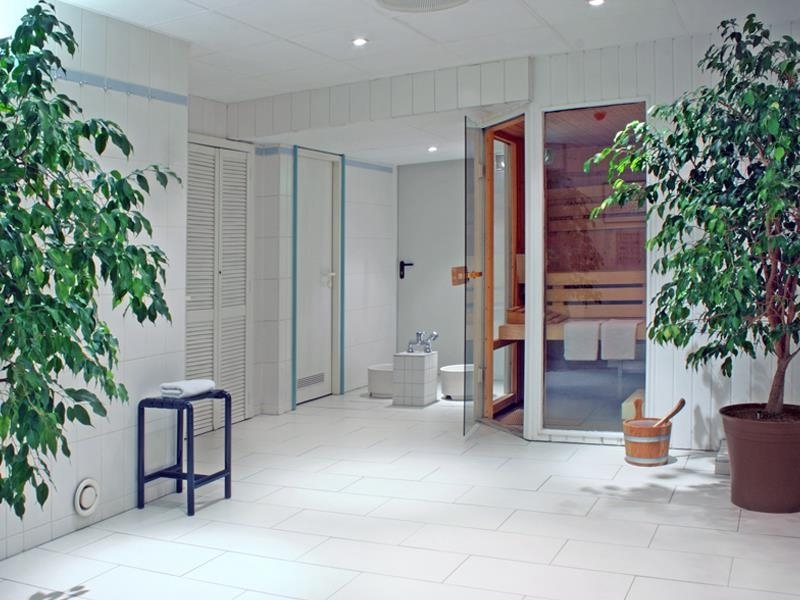 Still excellent start before taking a walk to nearby city center attractions and shopping malls. Bus & tram stops also on same road for easy trips further away from hotel. Personnel was really nice and friendly. Would visit again. "Good hotel beside central station"
I stayed here for one night recently. This is a pleasant and well-run centre-city hotel located right beside the main train station. Breakfast was good and staff were helpful. Some traffic noise from cars and trams on front-facing rooms as one would expect given location but air con meant one could sleep with window closed which reduced noise to a minimum.